Are you so enthused with the 2012 Olympics that special tablets and non-stop TV coverage won't fully scratch the itch? 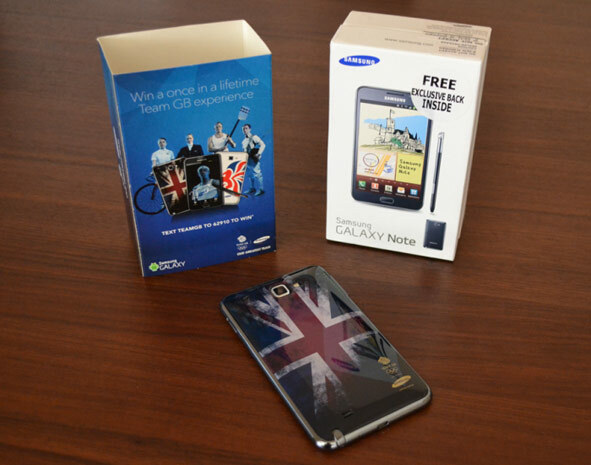 O2 UK is letting you flaunt your British competitive pride every time you check Twitter by selling Olympic editions of Samsung's Galaxy Note and Galaxy Y. Either comes with a choice to drape your Android gear in a Union Jack or the Team Great Britain logo. If cosmetic patriotism isn't enough, O2 is making it meaningful by contributing £1 from every sale to future athlete training along with giving a chance to win two tickets to attend the London games, a special event and even the training camp. The bundles are ready to go now, although we're slightly bummed that there isn't an extra-long S Pen to commemorate the javelin toss or pole vault. O2 UK offers Samsung Galaxy Note and Galaxy Y in Olympics versions, S Javelin sadly missing originally appeared on Engadget on Mon, 21 May 2012 14:39:00 EDT. Please see our terms for use of feeds.